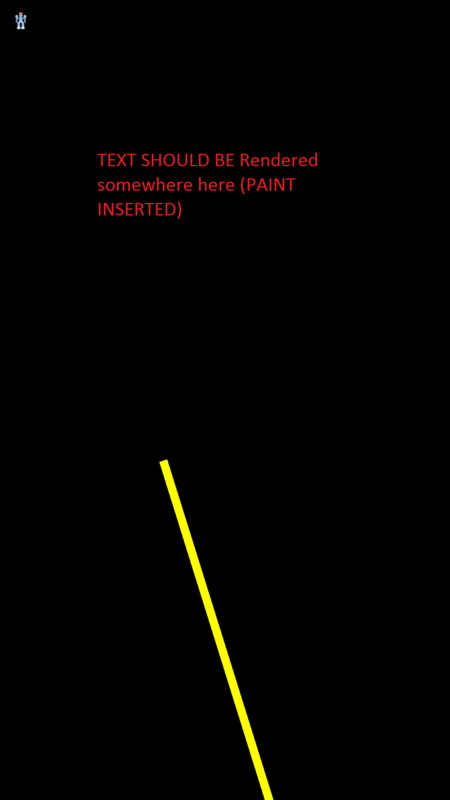 Working on adding Text to my canvas however the canvas.drawText(...) method is not working (NOT RENDERING ANYTHING ) despite other draw calls working perfectly fine. Case in point, I'm drawing lines/bitmaps on the canvas but drawing text keeps failing. Not the answer you're looking for? Browse other questions tagged java android eclipse graphics or ask your own question.